Alcohol use by humans, probably tens of thousands of years old, has both comforted and plagued almost every society. In this discussion, author David Hanson describes the drug's journey through time. In order to reduce both abuse and drug overdose deaths, the Food and Drug Administration approved a drug called Targiniq ER, which combines the painkiller oxycodone and the overdose reversal medication naloxone. The low cost and high availability of heroin on the streets has caused an epidemic across the United States, to include an increase in overdose deaths and challenges for law enforcement as they routinely find heroin users unconscious or dead in bathrooms, fast-food restaurants, parks, busses, and trains. This article examines the heroin epidemic and the parallel of the spike in heroin use to the dependence of many on legal opioid painkillers. The nonmedical use and abuse of prescription drugs is a serious public health problem in the United States. This article looks at the exponential spike in prescription drug abuse in the last 20 years and how it has affected the daily lives of all who are involved or come in contact with the prescription drug addicts. The use of antidepressants is skyrocketing, with serious results. Dr. Christopher includes a real-life story of how pain killer addiction negatively affected a family where one of the spouses abused several pain medications. The article also discusses some of the reasoning people use to justify taking the medication and some of the serious dangers that result from such. There have been many myths and misconception about drug addiction over the decades. This article discusses, in detail, the science behind drug addiction and the effects on the mental and health well-being of the person suffering from addiction. Drug use and abuse has been a healthcare concern for years; however, in the recent past, tetrahydrocannabinoid (THC) has started to be synthetically produced and made readily available across the nation. This article discusses how synthetic cannabinoids are developed, why they are becoming so addictive, and the medical issues that medical professional are discovering. This article enables readers to better understand drug addiction, prevention, and treatment methods that include a life-long commitment from those affected to ensure their success. 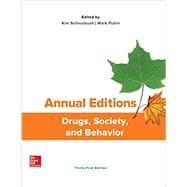 The writing includes risk factors as well as positive treatment methods to help reduce drug use and addiction. Adolescents have been attracted to prescription drugs at an alarming rate. This article discusses how popular prescription drugs vary, their effects on users, the psychological and physiological aspects of use, along with consequences faced by adolescents who consume these popular drugs. A study funded by the Medical Research Council found a significant genetic link to drug addiction. This study supports the idea that addiction is not a problem of personal character, but rather is a problem with a person’s brain. It confirms that addiction is more likely in people for whom family members have a history of addiction. These findings speak to new methods of treatment for addicted individuals. The movie, Limitless, featured a fictional pill thought to be based on the real-life version of Provigil, originally marketed for narcolepsy. Provigil’s chemical compound is Modafinil, which became known as a “smart drug” among those who needed sustained levels of focused concentration and productivity. Although Modafinil is not supposed to be addictive, some users report difficulty in discontinuing its use. The FDA is unaware of the side effects associated with the long-term use of this drug. Sold under the names Ivory Wave, Bliss, Hurricane Charlie, and White Lightning, these drugs are not yet regulated by the Drug Enforcement Administration, but they are coming to the attention of Federal Authorities as calls to emergency rooms and law enforcement increase. This article discusses the chemical compound and patterns of use of this drug that is fast becoming a community problem. Evidence suggests that a number of inhalants have a similar effect on the central nervous system as alcohol and other sedatives, but inhalants are much more readily available to young people. Shoe shine spray, gases, solvents, and aerosols are all popular options for what is commonly known as “huffing.” This report provides a thorough overview of the current state of inhalant use in the United States. There is a growing public attention on doping in athletics. Given the concern that use of anabolic steroids and hormones is on the rise in youth aiming for a professional athletic career, it is important to understand this drug use. This article thoroughly examines methods and types of doping as well as the role of independent testing agencies. Monitoring the Future is a long-term study that examines substance use of people ranging in age from adolescent to 50 years old. This report is a comprehensive discussion of substance use and abuse patterns in 2011. Drug use and abuse is not new in the United States, but a deadly drug has recently emerged from Russia called Krokodil, a deadly mixture of codeine tablets crushed up with readily available toxic ingredients such as vehicle gasoline, paint thinner, hydrochloric acid, red phosphorus, and even lighter fluid. Using Krokodil can leave a person mentally and physically incapacitated, and as the name indicates, some users are left with skin that appears crocodile-like when gangrene results. This article discusses this new deadly drug making its way around the globe, the physical effects on users and the efforts being made to discourage use of Krokodil. This study used social media, Twitter, to understand patterns of Adderall use in University students. Between November 2011 and May 2012, Adderall was mentioned in 213,613 tweets. Qualitatively examining tweets found that Adderall use was more common in the northeast and southern regions of the United States. Just under 10% reported supplementing Adderall with an additional substance. The study reflected the expected pattern of Adderall use peaking during high exam periods (December and May) and during the middle of the week. A new drug that rivals Bath Salts has emerged in some regions of the United States. Costing between $80 and $200 a gram, Gravel is thought to be more dangerous than Bath Salts due to its propensity to be mixed with unknown substances and the extreme paranoia it causes in users. Some users report to feel no pain while using Gravel and police report responding to near life-threatening or fatal encounters with users. According to the National Institute of Alcoholism and Alcohol Abuse, there are serious new questions about alcoholism and alcohol abuse. One family's story of ADHD and the tragic results of treatment. A noted physician has changed his mind about medical marijuana. Although the powerful painkiller fentanyl has been around since the 1960’s and is potent enough to soothe extreme pain from cancer and similar illnesses, the emergence of fentanyl on the streets across the nation is causing a new health crisis as it only takes a small amount of the drug to kill. This article explores how and why fentanyl is flooding the streets, to include a discussion of how an accidental overdose of this drug killed the popular 1980’s music icon Prince. Following a dramatic spike in hospital visits for synthetic marijuana-related emergencies, New York state issued a health alert as more than 160 patients in nine days had been rushed to hospitals for adverse reactions. Synthetic marijuana, also known as “K2” or “spice,” side effects vary, but can include seizures, loss of consciousness, confusion, headaches, and an increase in heart rate. The Colorado Department of Public Health and Environment (CDPHE) was notified of an increase in the number of patients visiting their emergency departments (EDs) with altered mental status after using synthetic marijuana. This report explains what synthetic marijuana is and presents a brief snapshot of this emerging problem facing emergency departments. Colorado has legalized marijuana for recreational use. What are the changes that are happening because of this? An army officer discusses the issue of alcohol use and abuse in the military. Did cocaine use by investment bankers result in the biggest recession since the Great Depression? The U.S. government has used sophisticated surveillance techniques developed for the War on Terror to investigate and arrest drug suspects. Use and abuse of opioid painkillers have become a problem in the United States, and fatal overdoses have quadrupled in the last 15 years. This article explores the social costs of these opioids, to include how opioid dependency is akin to a chronic disease, and can result in lost work productivity by addicts, an increase in crime, and a need for addiction treatment. Applying the known principles human behavior, Judge Steve Alm from a Hawaiian Circuit Court has achieved strong reductions in recidivism from drug-addicted probationers. In keeping with Beccaria’s theory of deterrence, Judge Alm found that in instituting consistently, swift, certain, and moderate sanctions, positive drug tests and missed appointments fell by 80 percent. The 2011 National Survey on Drug Use and Health estimated that close to 23 million Americans over the age of 12 were current or past drug users. The Obama Administration’s National Control Drug Control Strategy outlines the Federal initiatives meant to increase efforts to prevent substance abuse at the community level. This first chapter of the 2013 report to Congress highlights the Administration’s prevention strategies. A dying baby and an experimental drug. What happens when the only drug that could save a dying person isn't approved by the FDA? The United States and Mexico both have long histories of drug policy that precedes the current state of violence and drug trafficking between the two countries. This article puts the current narco-war waging at the United States-Mexico border in historical context and discusses the implications of legalization or harsher drug policy. With legislation to legalize marijuana on several ballots, is the public changing their perception on drug use? This article discusses recent drug laws and reforms as well as the drug policies of the Obama Administration. Will marijuana be legal in all states someday? With an international context, this article presents the differences between decriminalization and legalization. Implications for legalization of drugs are discussed. Drug-free zone laws have increased penalties for certain drug offenses since 1970 and currently, all 50 states and the District of Columbia have adopted some form of drug-free school zone laws. This article explores the reasons, limitations and current reforms behind these increased penalties for drug activity in and around schools and public parks where children may be present as well as how these laws may be disparate among minority populations. Research has shown teens receiving training in life skills can be diverted away from prescription drug abuse. This article explores cost-effective family-based methods that are effective in reducing teen drug use as well as early warning signs of current and potential illicit prescription opioid misuse and abuse. FedEx Corporation faces charges of conspiracy to commit money laundering due to delivering rogue online pharmacy packages despite warnings from law enforcement. Between 60 and 80 percent of substantiated child abuse and neglect cases involve substance abuse by a custodial parent or guardian. This article explores this phenomenon and provides results of parents who complete substance abuse treatment versus their counterparts as it relates to child custody. Although 18 years have passed since Tracy Helton Mitchell was filmed at 25-years-old and a chronic drug user, she continues to ask herself what she would have done with her life if she hadn’t been hooked on heroin. The author, a chronic heroin user in her 20s, discusses her heroin recovery and how she created an entirely different life as a recovering drug addict. New to the market, Vivitrol is being prescribed by doctors for heroin users as it contains a drug called naltrexone, which blocks the ‘keyhole’ where heroin bonds to the brain’s receptors, making the user unable to get ‘high.’ Because of the success, Vivitrol is being incorporated into prison treatment programs as inmates are released back to society, which has allowed ex-inmates to keep clean and reduce recidivism. This article explores the new Obama initiative to expand addiction treatment and increase coverage for mental health and substance abuse services across the nation. Although well-intentioned, the ‘war on drugs’ has failed. This article explores the use of medical and recreational marijuana throughout some states in the nation and discusses the once-prohibited drug and how the political stance on marijuana use is slowly changing.